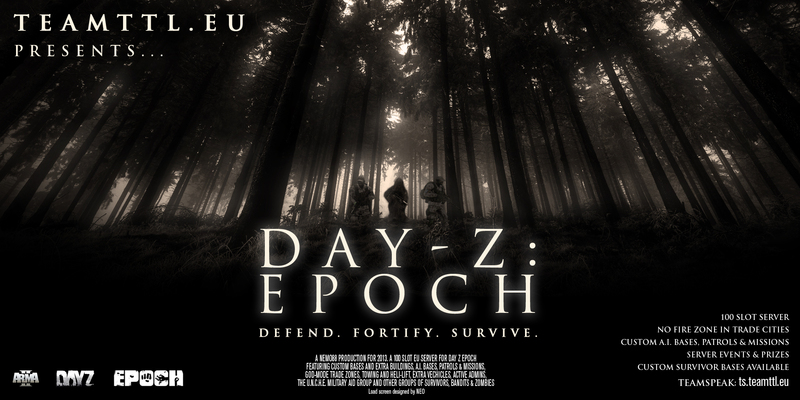 A loading screen I designed for TTL server, an online hosting company for the game Arma II : Day Z Epoch. The screen is seen by players joining the popular server and advertises the features within. I used screenshots taken in game and photography combined to create a realistic movie style montage.